Starting a digital office can seem a daunting task. You want to go in and go all the way – but what if you overlook a key aspect and everything stops working together? Not to worry. Here’s the list of resources you will need to utilize in your new paperless office. With nothing missing. Well, expect the paper. Freshbooks is a great service that can convert your billing and invoicing system to a secure electronic database. This “cloud accounting” service delivers a fast, accurate, easy to use, and professional interface for all your billing needs. Automated invoicing is available, as is integrations with Paypal and other online payment services. Use the system to generate reports, track expenses – even get the app to ride along. $39.95 per month, plus $10 for each additional user; unlimited client entries and invoices. TeamViewer lets you conduct paperless meetings and manage data within the paperless. You get remote access to any device 24/7 from ay computer or mobile device. Hijack your colleagues’ laptops to access data during meetings, plus use screen sharing, video and file sharing, included whiteboards, and teleconferencing to be effective and paperless. When meetings are over, upload slides and info to Dropbox or Basecamp easily and share the digital copies. 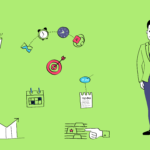 Doodle and SurveyMonkey provide free service for conducting and scheduling meetings but don’t provide device connectivity and takeover capabilities. Turboscan is an excellent app that allows phone cameras to be used as scanners which then convert captured images to PDFs. High-quality photos are editable and may be stored and sent singularly or as large files. Your office may also need a larger scanner for digital imaging. Here’s a PC World review of the best scanners for a paperless office. eFax takes incoming faxes and puts them into your email box and easily-searchable emails. 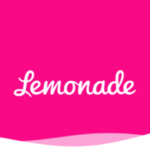 Send and receive faxes from any smartphone, tablet, or computer. Square and PaypalHere let you process credit cards from the convenience of any mobile device and send paperless receipts to customers. Shoeboxed lets you send your mass of paper receipts into the Shoeboxed office and receive digital versions in return. They’ll scan your papers and index them in your account, letting you get reports and integrate the data into your database systems. 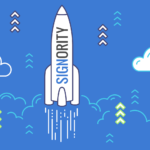 Signority streamlines the essential process of acquiring customer signatures with one seamless digital application. Send and receive signed documents via a user-friendly interface usable across any device. Great for the most agile businesses, sign PDFs instantly, edit and store documents with one touch, and move forward faster.